Up to 5000 lb. capacity. 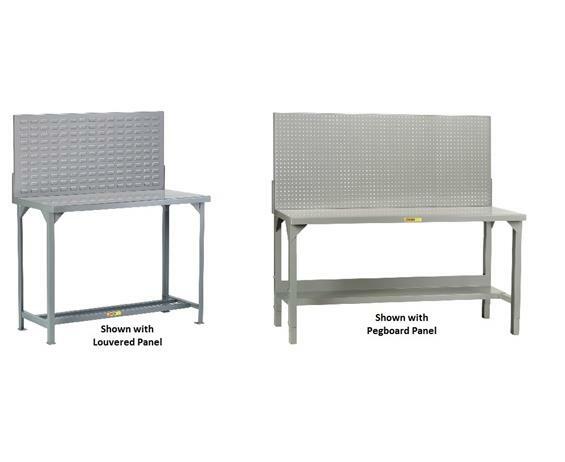 Choice of bolt-on 24" high 16 gauge pegboard or louvered panel. 12 gauge double-reinforced steel top. 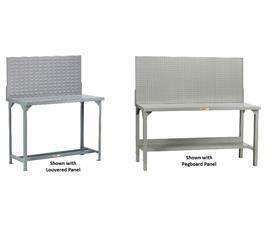 These all-welded units ship fully assembled and ready for immediate use. 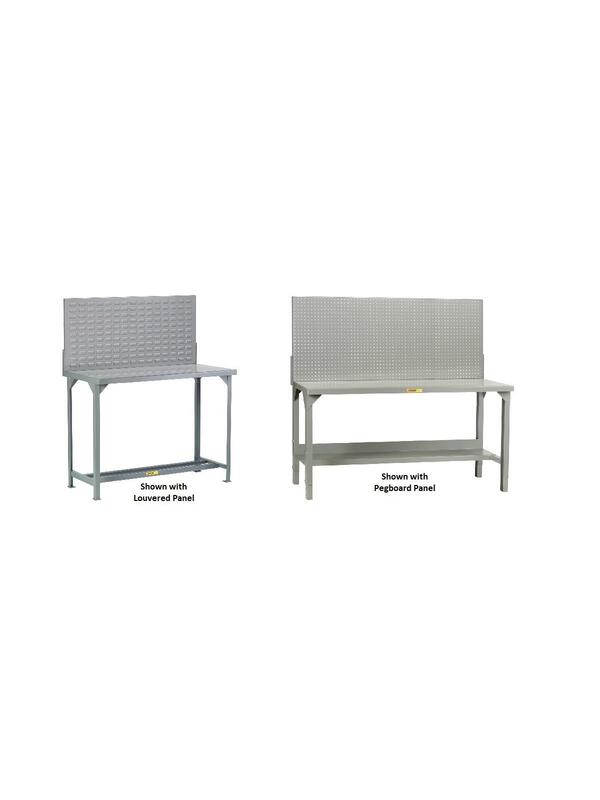 Available with half-depth lower shelf or open base. FOB Shipping Point.